My kids love the movie Avatar. My son owns the Blu-ray version and still went to see the movie for his 3rd time at the IMAX theatre last night. Make no mistake about it, it is unquestonably the most technologically advanced and visually stunning movie ever produced. At a cost of $500 million it is also the most expensive. Canadian writer/director James Cameron brilliantly included every element necessary to produce an international box office hit. Action, drama, romance, science fiction, fantasy, and incredible groundbreaking special effects… although there was little of what I would consider real comedy. A bit of a downer for a guy who spends most of his TV time on the Comedy channel. 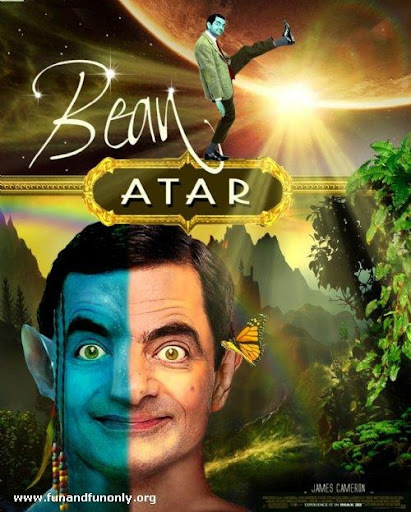 I am really looking forward to the upcoming release of Bean Atar. 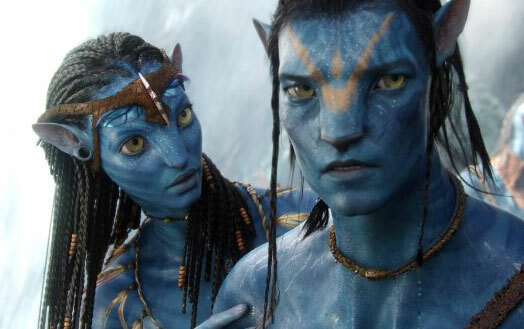 Somehow, to the shock of many, Avatar did not win Best Picture at the Oscars. Nevertheless, it is still being lauded by many as the greatest motion picture of all time. Probably not surprisingly to most of you, I am not one of them. I did enjoy the unique concept and the overall experience but the unoriginality of the storyline and the obvious predictability of the outcome was a bit comical. It should have been entitled “Pocahontas Meets the Smurfs in Outer Space”. I have little comment either way about James Cameron’s overt environmentalist message or his broad handed swipe at the insensitive racist American imperialistic capitalist pigs that he lives among in his newly adopted home in Hollywood. 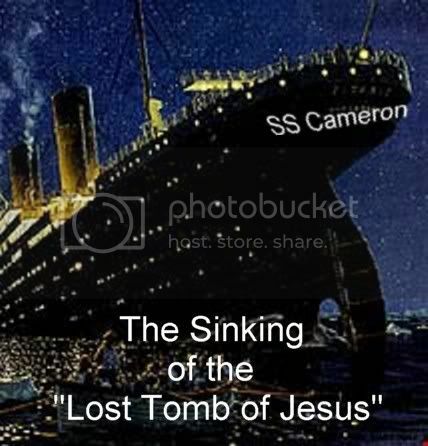 The real problem I have with Avatar is Cameron’s shameless pagan religious message. Cameron has an axe to grind with Christianity. He personally funded the production of Simcha Jacobovici’s The Lost Tomb of Jesus. It was a combination of terrible science and contemptible intellectual dishonestly to try to disprove the resurrection and the deity of Christ. The holes in the logic were so big you could sail the Titanic through them. It is not worth even talking about and almost nobody bothered to see it anyway. Avatar is a different story because the whole world has seen it. $2.7 billion at the box office so far. Make no mistake about it, Avatar is a religious movie. Most christian critics would call it neo-pantheism… the belief that Nature and God are one in the same. More specifically, that Nature is god. That there is no personal or creator God but that the divine nature is found only in the Cosmos itself and all that it contains. Cameron calls it Eywa or The Mother… you know… Mother Earth! Eywa sounds oddly familiar to Yahwah, and Pandora looks strangely like what one might imagine as the Garden of Eden. The Na’vi (naive?) have perfect super-model slender bodies and are for the most part naked and innocent. It all seems like a remake of the story of Adam and Eve in the garden. Oh, and the brutish Americans have been cast as the deceitful serpent. (Personally, that’s why I think it didn’t win best picture at the Academy Awards, but it did at the Golden Globes.) There is even an unlikely saviour in Jack Sully, the dumb but good looking paraplegic jarhead. But that is where the biblical comparison ends. Cameron’s religious message is actually better described as Animism than Pantheism. Outside of organized religion Animism is the oldest and most common religious philosophy on the planet. It is the spiritual belief that souls or spirits exist not only in humans but also in animals , plants, rocks and natural phenomena. Most primitive pagan cultures practiced animism which almost always included some form of ancestor worship. Hollywood has not invented a new religion but has recycled the oldest of them all. Again and again the message in Avatar is stated that all plants and animals are interconnected. Eywa acts to keep the ecosystem of Pandora in perfect equilibrium. Living things on Pandora connect to Eywa through a system of neuro-conductive antennae; this explains why Na’vi can mount their direhorse or ikran steeds and ride them immediately without going through the necessary steps required to domesticate such wild animals. It is a bit like a huge biological Internet; the trees being computer servers that store information. The Na’vi can upload or download memories from it using their tails. The Tree of Souls grants the Na’vi access to the psychic essences of their deceased, which is how the Na’vi communicate with their ancestors. James Camerson explains it this way, “Avatar asks us to see that everything is connected, all human beings to each other, and us to the Earth. And if you have to go four and a half light years to another, made-up planet to appreciate this miracle of the world that we have right here, well, you know what, that’s the wonder of cinema right there, that’s the magic.” Avatar was just in the wrong category at the Oscars that’s all. It should have won for Best 3D Religious Science Fiction Film of the year. I think every Christian should see Avatar. (Warning: There is some course language, but nothing you wouldn’t hear on prime time television.) We need to see it first, just for the entertainment value, but more importantly to be aware of religious message Hollywood is selling to the masses. We are in a battle for the hearts and minds of our friends and family. If you know what the lie is, it is much easier to communicate to them the truth.